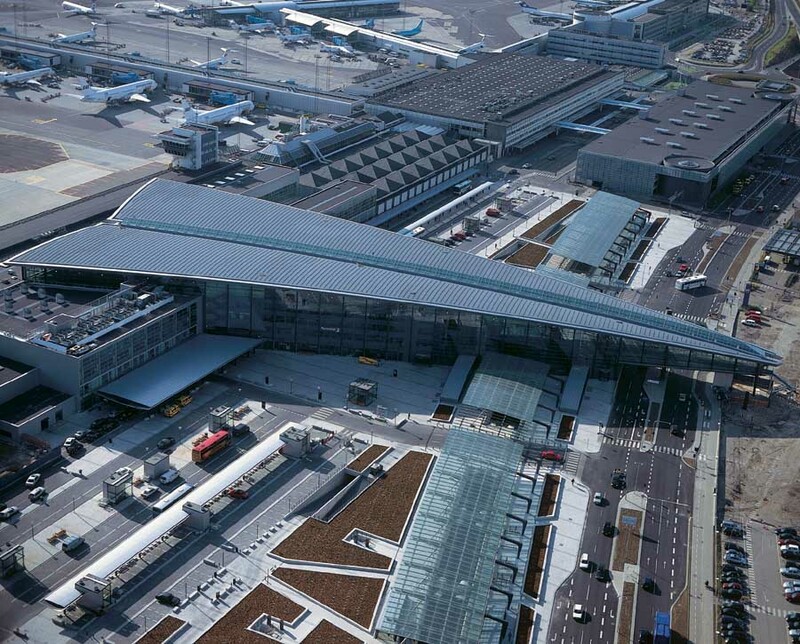 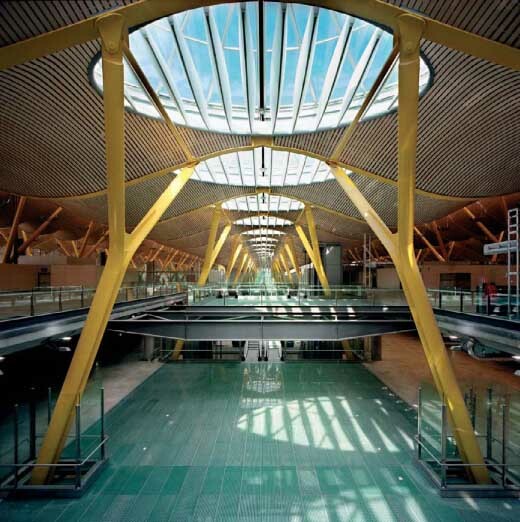 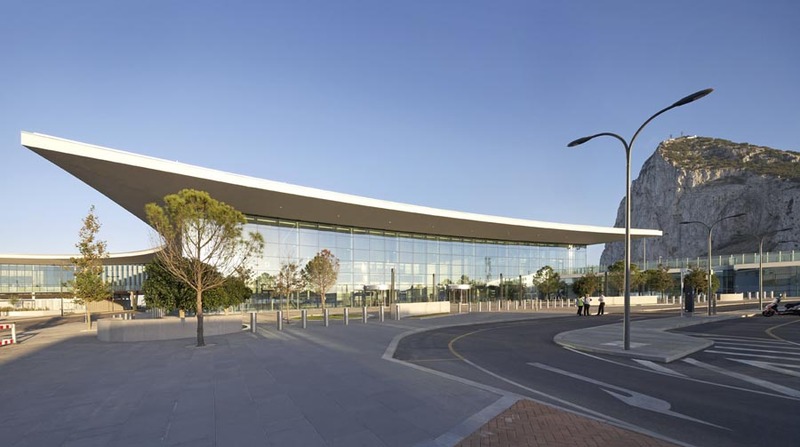 We’ve selected what we feel are the key examples of Airport Architecture from across the globe. 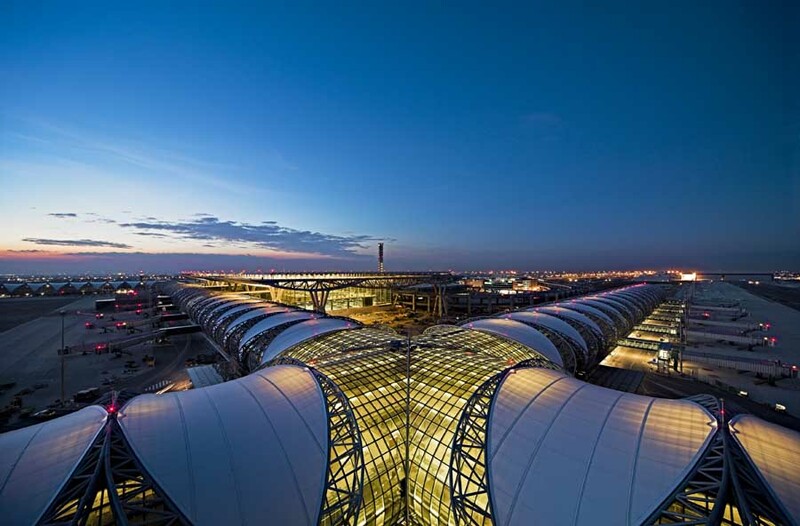 The most celebrated terminal from the 20th Century is JFK Airport near New York. 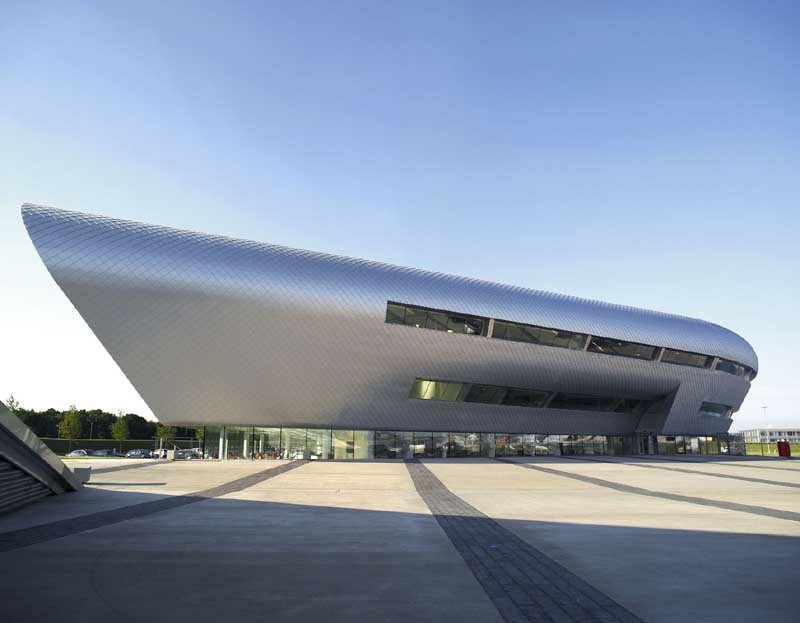 Its organic forms captured the imagination of a generation of architects. 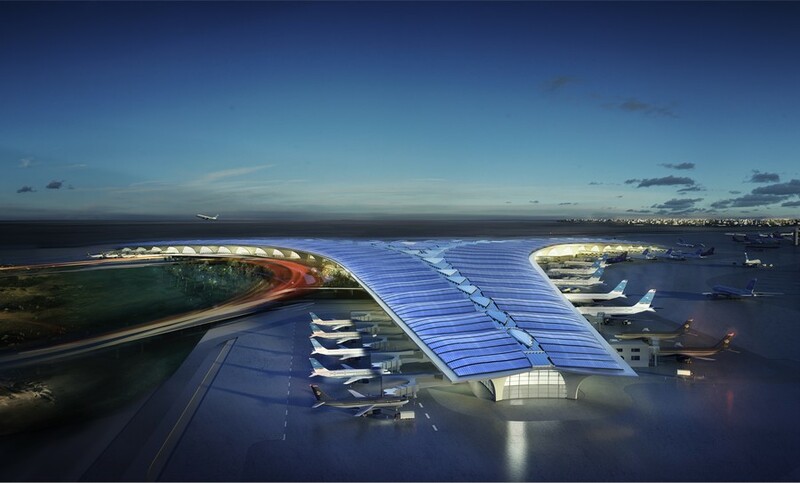 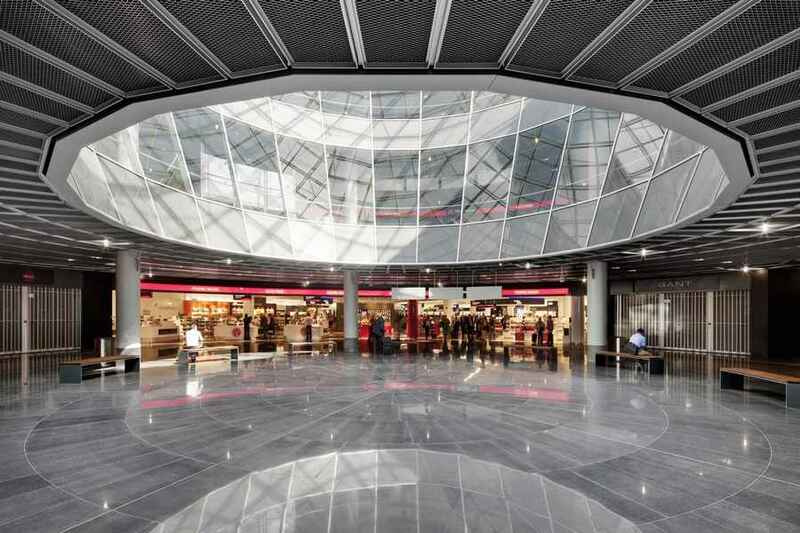 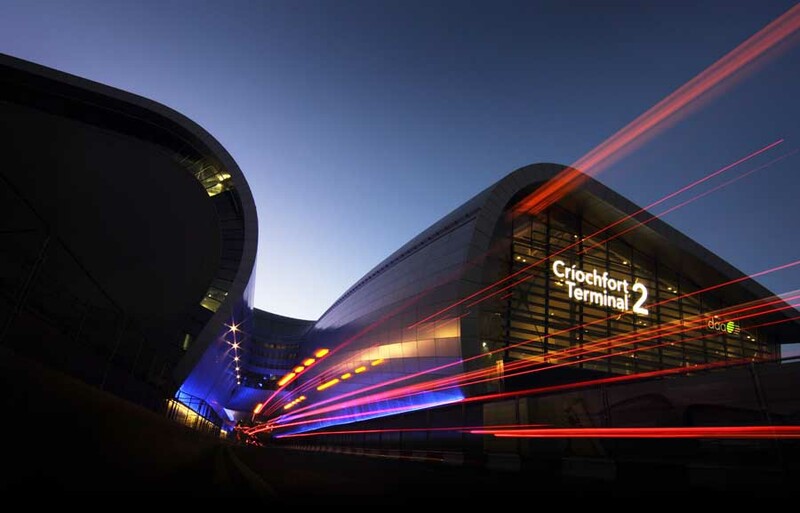 In recent decades the most important air terminal is surely Chep Lap Kok by Froster + Partners near Hong Kong. 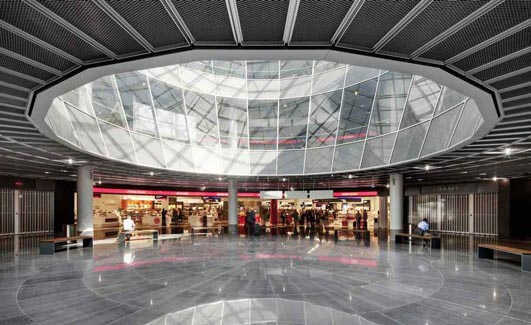 It took the same spacious concepts that he developed for Stansted in England (now sadly spoilt by a profusion of retail) but magnified in size, an elegant approach that has improved the experience of so many as they travel through it. 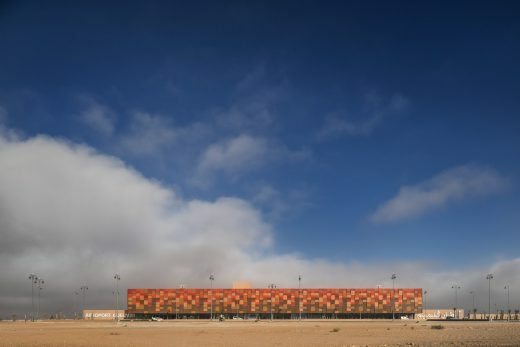 The new building is situated in an existing military infrastructure located 3km north of the Gateway to the Desert city. 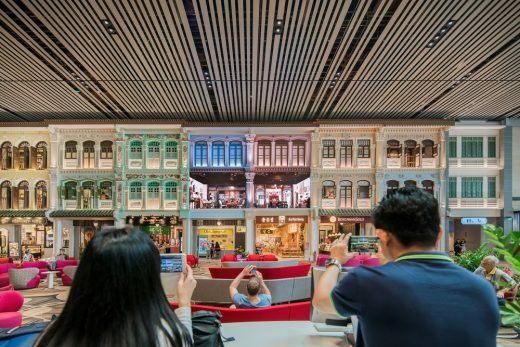 From optical illusions to cinematic storytelling, the architectural media features transform the least-appreciated travel moments into surprises of delight and discovery. 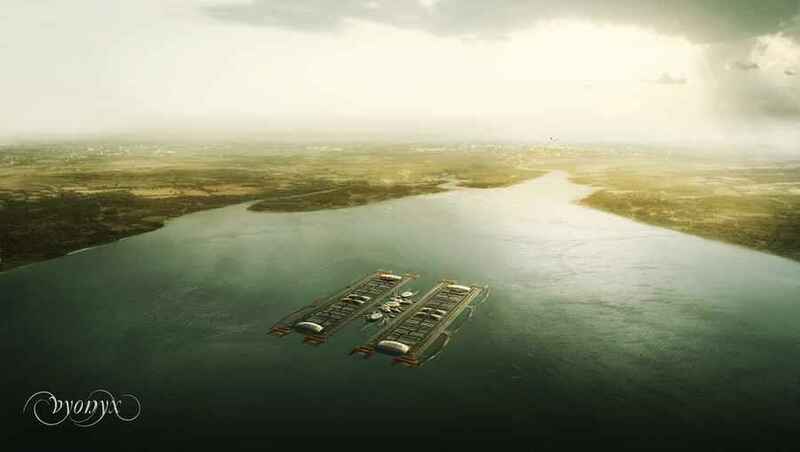 The world’s largest floating airport would be faster and cheaper to build; London Britannia Airport could provide the UK with its first 24/7 airport within the next decade. 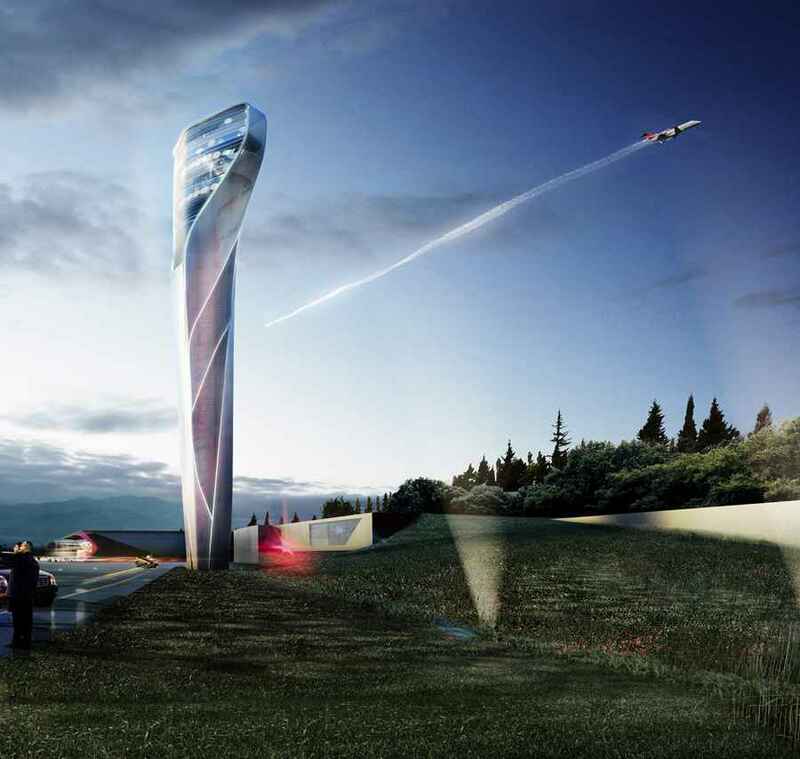 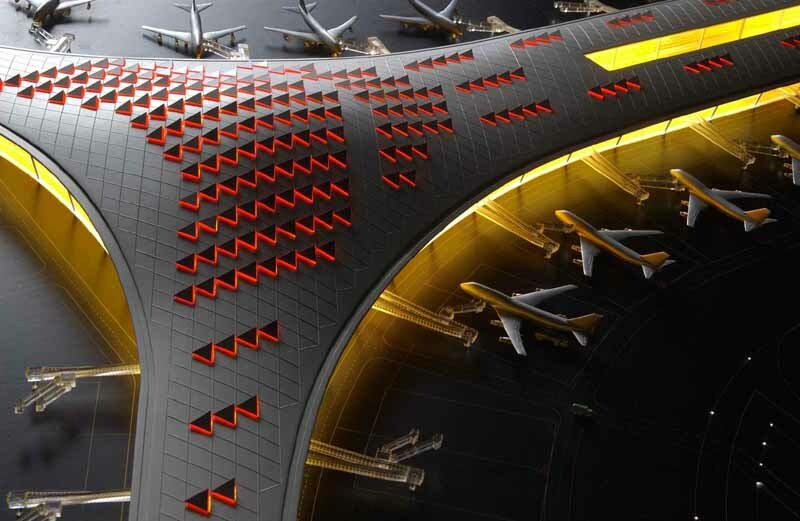 Today global design firm Gensler reveals its concept for a new London aviation hub. 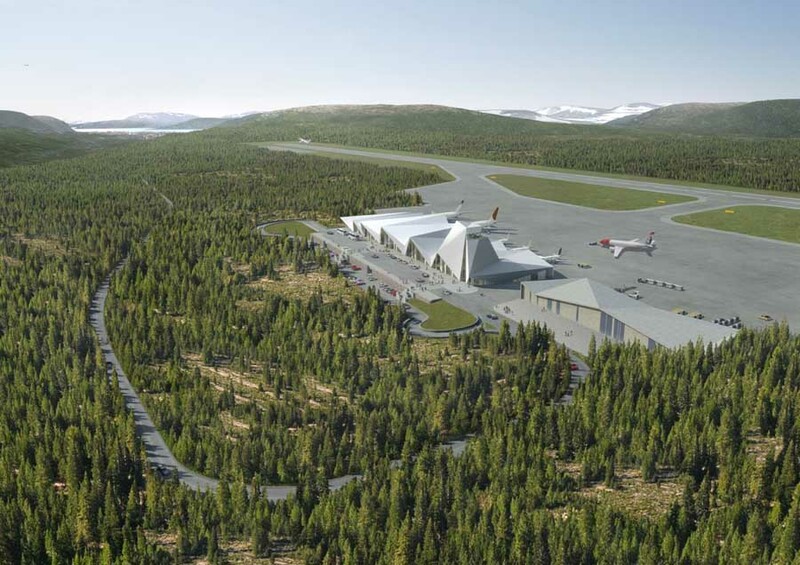 London Britannia Airport (LBA) would position the capital as the global gateway for Europe in what would be the world’s most innovative infrastructure development this century – whilst reducing environmental impact, cost and disruption to London. 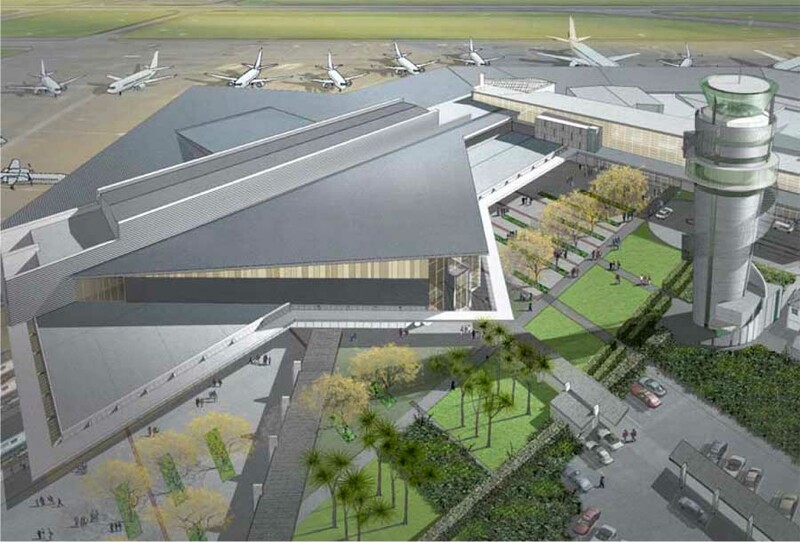 Alfonso Architects along with The Beck Group has been awarded the $17 million design build project at Tampa International Airport. 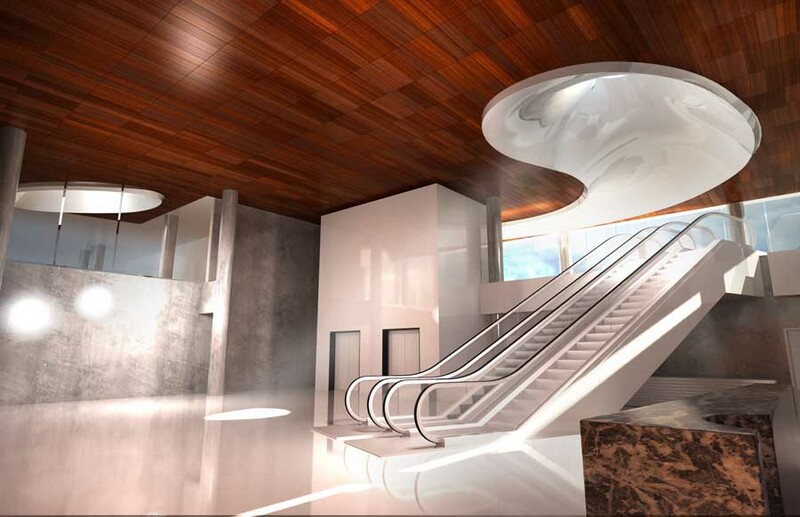 The complex expansion will include 30,000 sq. ft. of additional space and a 40,000 sq. 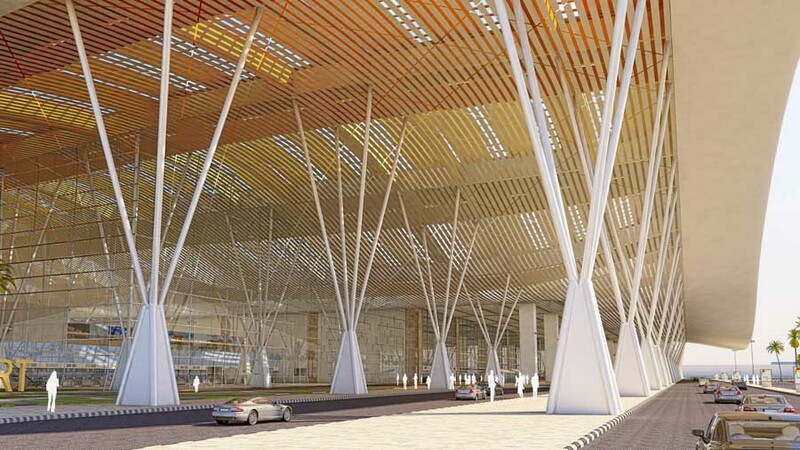 ft. renovation of existing space at Airside F. Project design starts this month with completion of the first phase by the end of 2012 and the entire upgrade finished by August 2013.The terminal, which originally opened in 1987, handles most of the international flights including daily non-stop service to London and four weekly flights to Cuba. 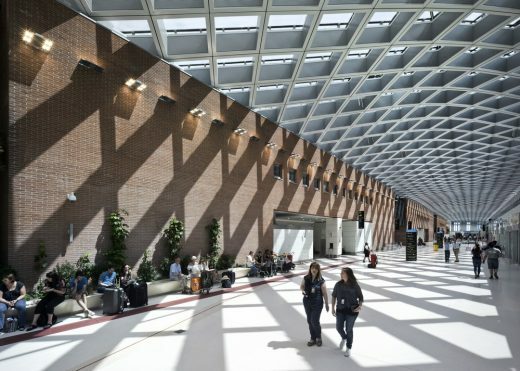 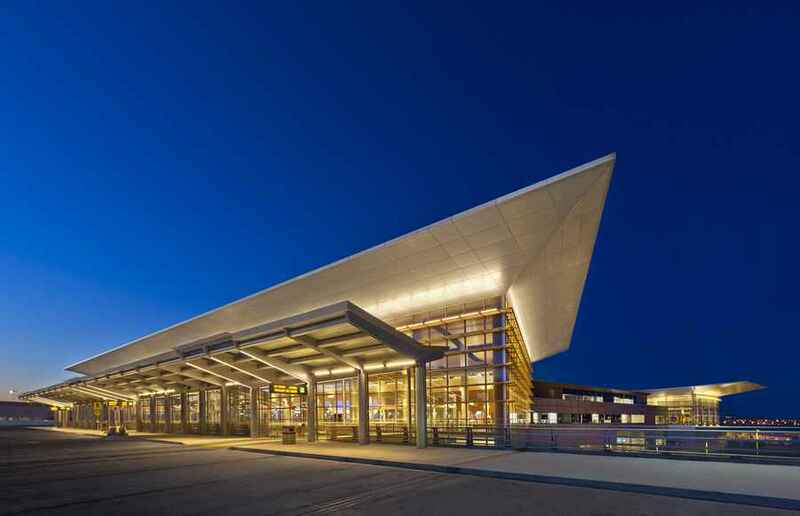 Canada’s greenest airport terminal, designed by Pelli Clarke Pelli Architects in collaboration with Stantec, opened Sunday at the Winnipeg James Armstrong Richardson International Airport. 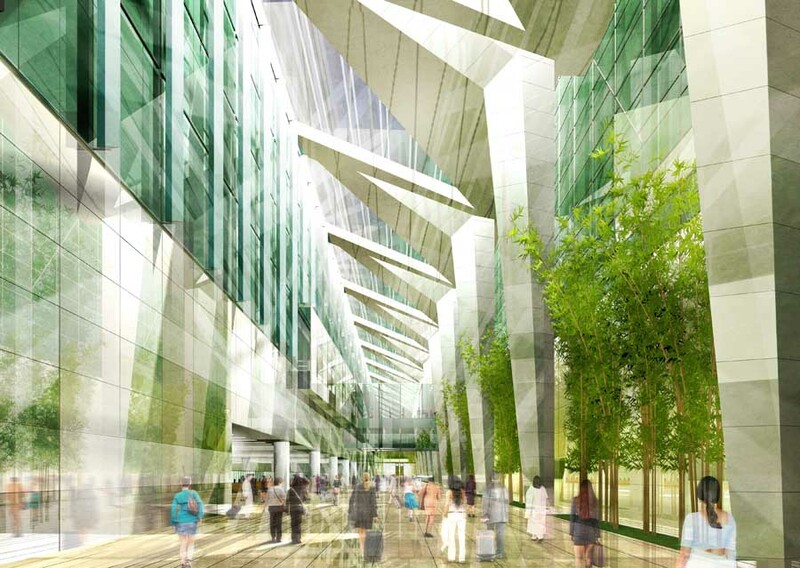 The terminal, which draws design inspiration from Manitoba’s vast prairies and sky, will be the first freestanding airport building in Canada to be LEED certified. 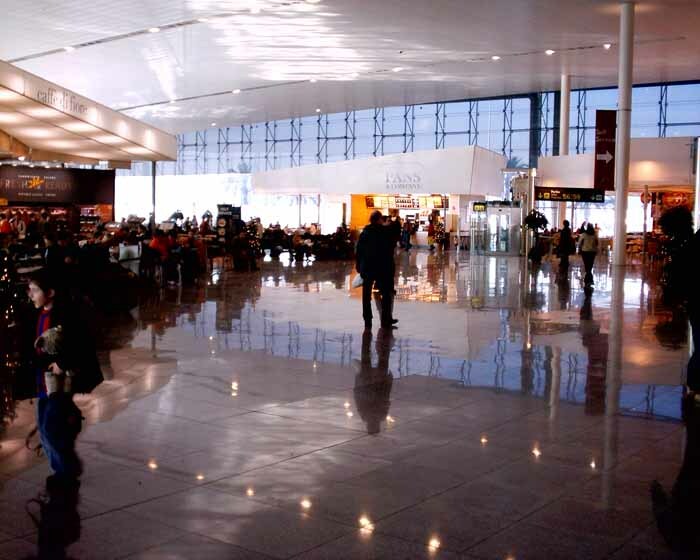 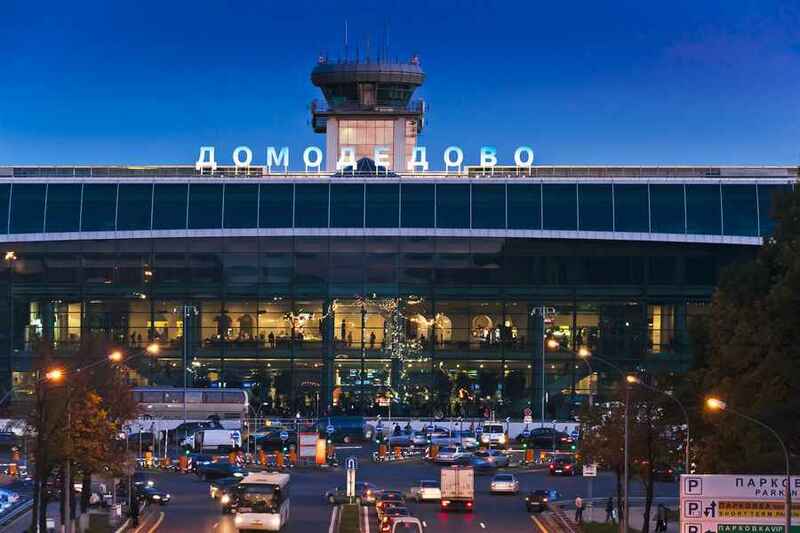 RMJM awarded Segment 3 of Domodedovo Airport’s United Terminal. 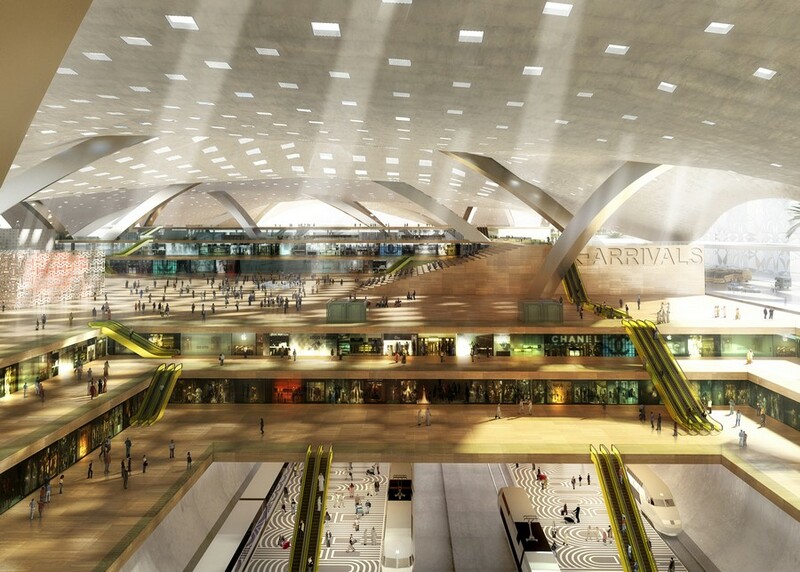 The RMJM European studio has been awarded the contract to design Segment 3 of the United Terminal of Domodedovo Airport in Moscow. 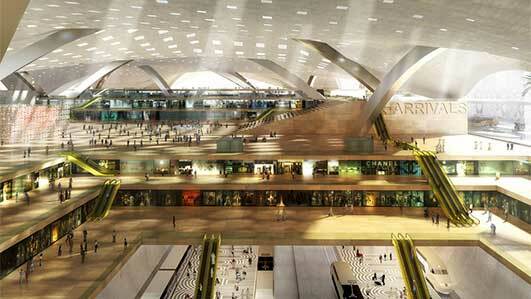 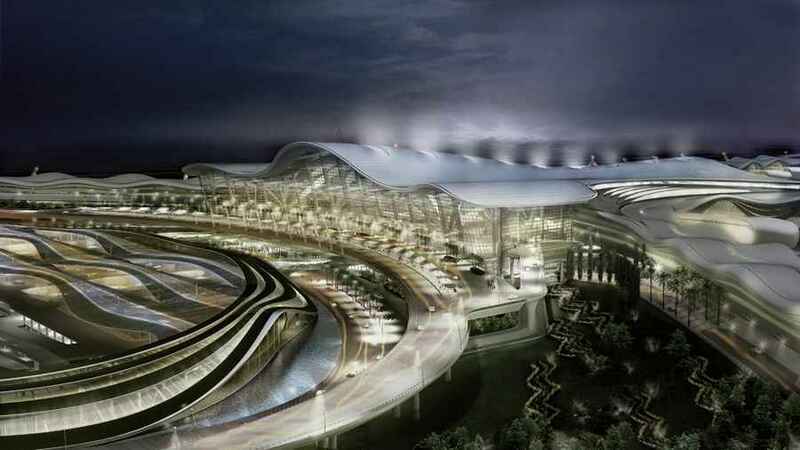 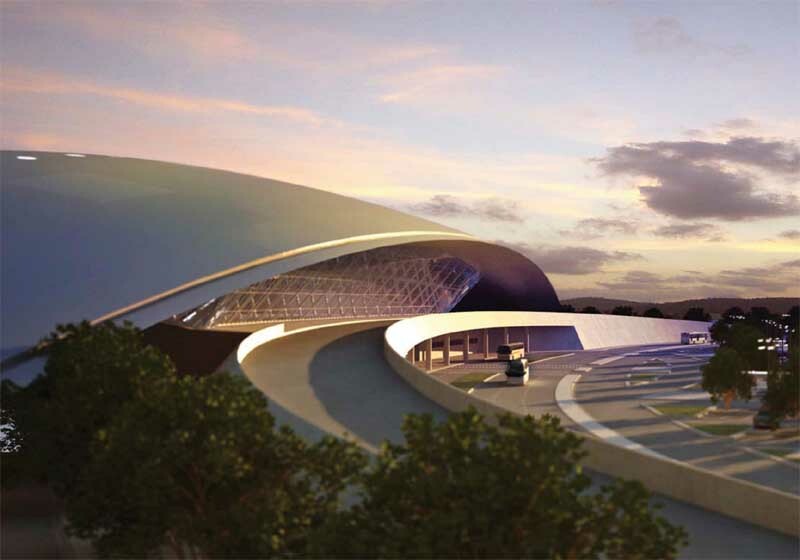 It will be designed by RMJM in Edinburgh and Moscow and will increase the airports current capacity by 16.5 million passengers per year, with construction expected to be complete in 2017.